Welcome to the Quad Cities! 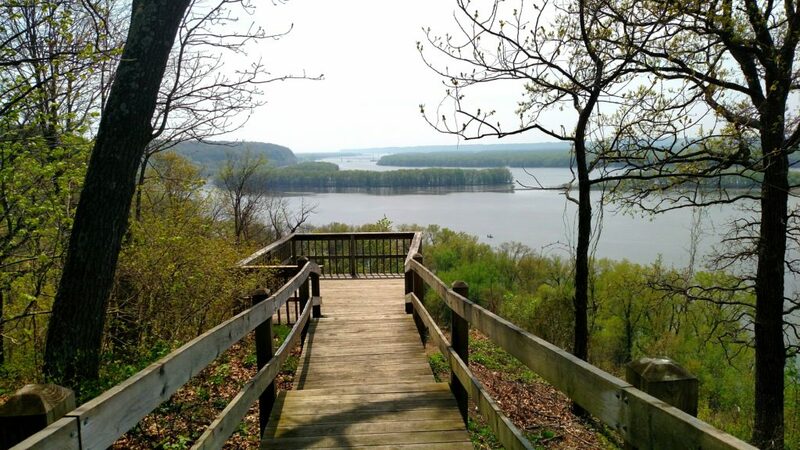 You’ll often find me hiking the six-mile trail system at Black Hawk State Historic Site in Rock Island. 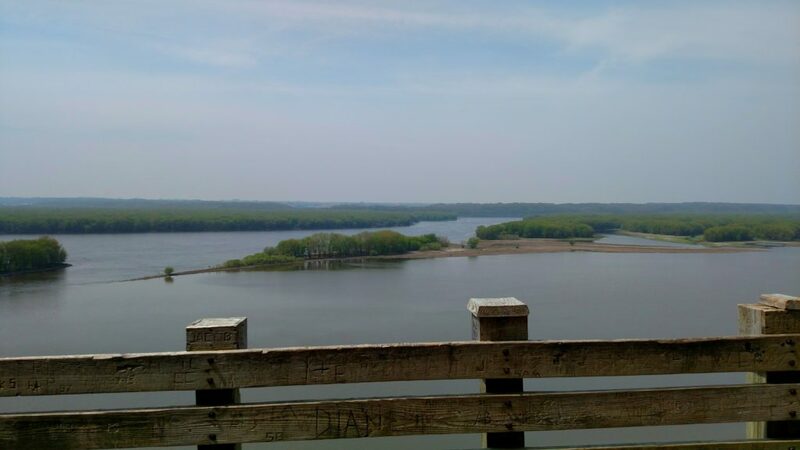 I find it very relaxing here, with a lovely view of the Rock River; if you follow the trail running alongside the river you can’t miss the observation platform. There you can spend a few moments taking in the sights and sounds of the birds, the breeze, and the water flowing downstream. 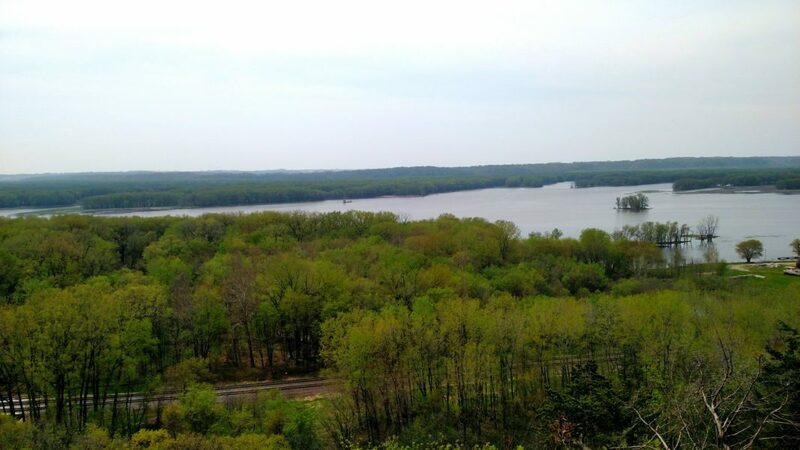 Overlooking the Rock River at Black Hawk State Historic Site. You can also hike on the North side of Black Hawk Road and spend some time exploring the park’s wooded trails. You can see the Dickson Pioneer Cemetery and the abandoned coal mine, and be sure to check out the Hauberg Indian Museum before you leave. I love the trails at Black Hawk. They’re very accessible, and great to hike all year long. The City of Rock Island committed seven years to fashion a former industrial property into the delightful park you can find here today. The buildings were carefully removed, leaving an architectural skeleton that serves as the backdrop for this naturalized demonstration area where visitors can learn about reducing storm water runoff; to this end, the park uses permeable paving, native prairie plants, and bioswails to slow the rush of water to the river. You can read more about these steps and why they’re important on displays at the naturalized area. Set alongside the bike path, Sylvan Slough is a great place to explore on foot or on your bicycle. The park offers a great view the Mississippi River. You’ll be able to see across the river to Arsenal Island, the Arsenal Power Dam, as well as Sylvan Island. 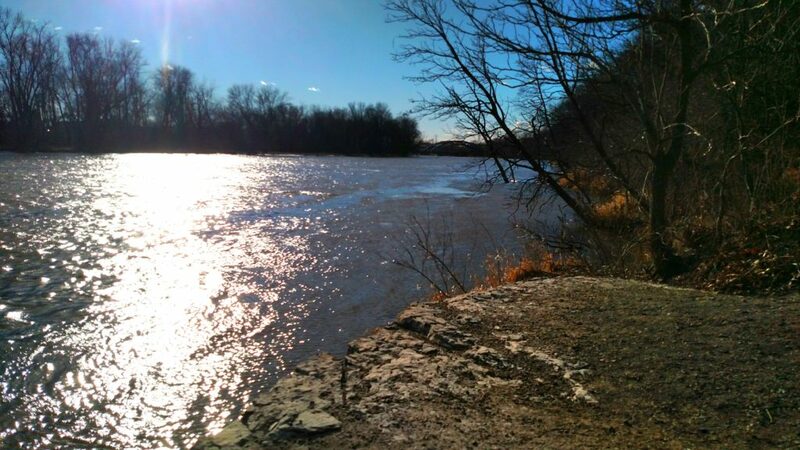 The area is accessible by foot or by bicycle via the Rock Island segment of the Great River Trail, and there is also parking available as well. Those interested in wildlife will have a great view of pelicans in the spring and early summer, and bald eagles in the winter. The observation areas offer a great view of the Mississippi River and Arsenal Island. 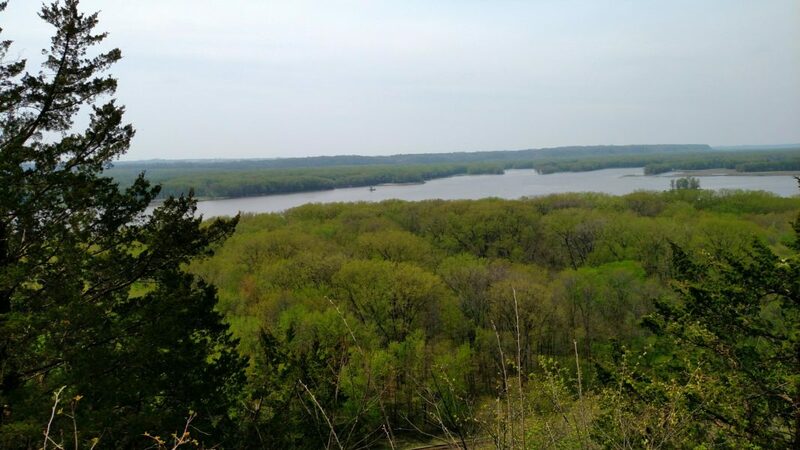 Part of the Rock Island County Forest Preserve District, Illiniwek is a great spot to hike or camp. Located in Hampton Illinois, right along the Mississippi River, this site is close to home but still offers plenty of fun. If you’re looking to camp, you can choose spots with water and electric hookup for your RV or trailer, but there are also plenty of spots to pitch your tent facing the river. You’ll find hiking trails, mountain biking, some great spots for fishing, and boat ramp access to the Mississippi River. 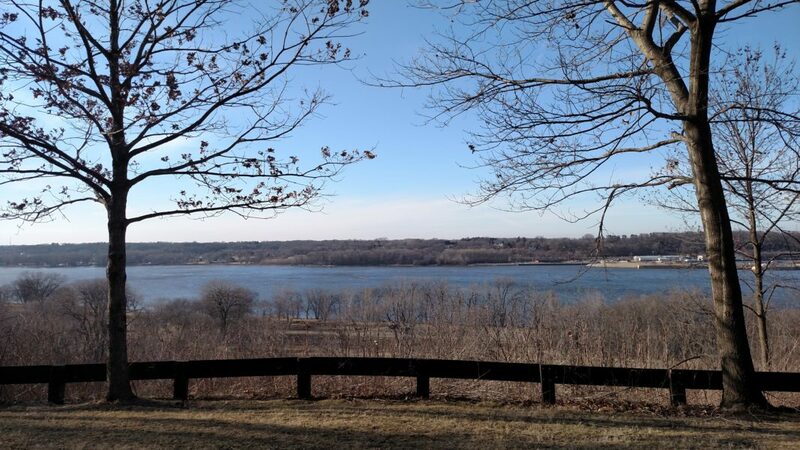 Another great view of the Mississippi River, this one from the hiking trails at Illiniwek Forest Preserve. 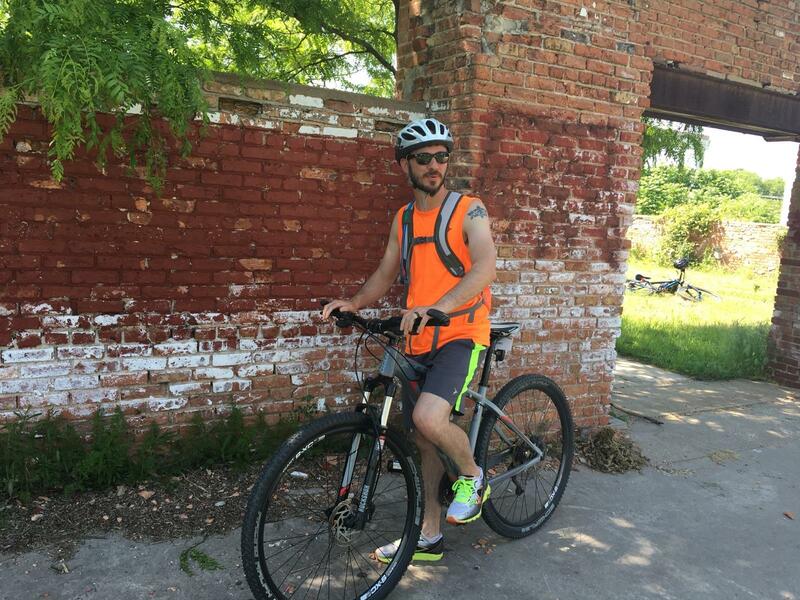 The Great River Trail goes right through the site as well, so that entire path is available for you to ride. You could even bike to the campsite itself if you’re so inclined! If you’re aiming to hike, hit the trail on the South side of Highway 84. There’s a couple different options on the map posted in the parking lot, as well as a sign indicating the start of the trail to the scenic overlook. If you head that way, you’ll have to climb some stairs on your hike, but it’ll be worth it when you reach the top and you’re treated to a great view of the river. As a hiker, keep in mind that some of the trails are open to mountain biking, so be alert and respectful of others on the trails. Like Illiniwek, Loud Thunder Forest Preserve in Illinois City, is part of the Rock Island County Forest Preserve District, and is similarly close to the Quad Cities. This preserve has a number of different camping opportunities; with five different campgrounds here to choose from you’re sure to find one that suits you. 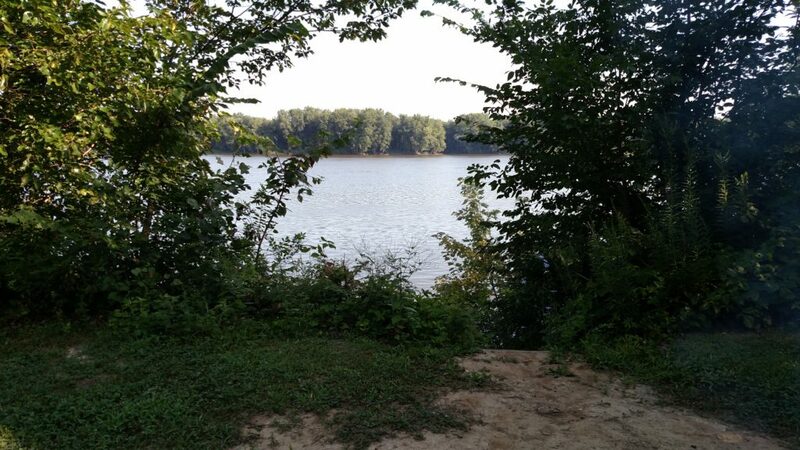 You can tent camp near the banks of the Mississippi River, or surrounded by the woods if you prefer. There’s a site just for those of you who want to bring your horses for the equestrian trails, as well as an RV site for those who prefer to bring the comforts of home with them. A riverside campsite is a fantastic place to spend a few nights! If you’re interested in getting out on the water, Loud Thunder rents a variety of watercraft with which you can explore Lake George. Canoes and kayaks are available for those looking to paddle, but if you’re looking for a little more relaxation or perhaps some good fishing, they’ve also got jon boats, small two-person pontoon boats, and even party barges. 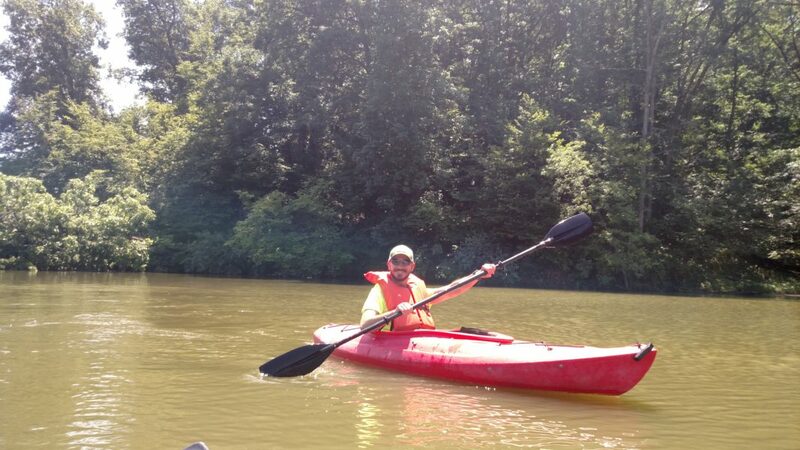 I’ve always had a great time paddling around Lake George. 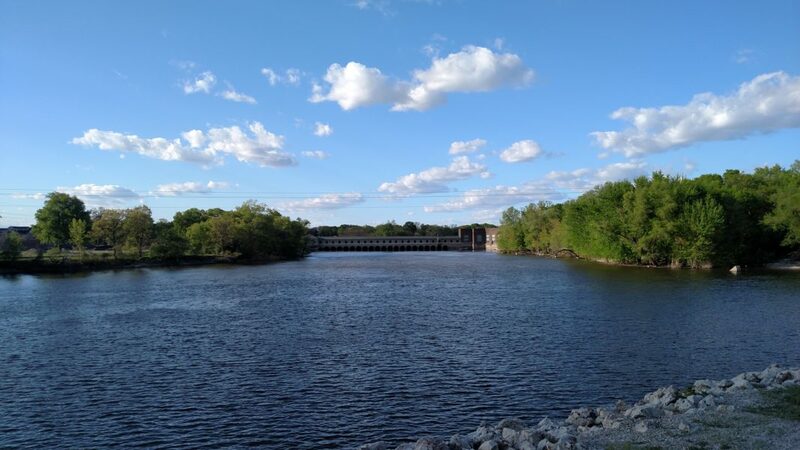 This 1280 acre park, nine miles north of Davenport IA, is home to great hiking, mountain biking, horseback riding, swimming in a heated Olympic sized swimming pool, and fishing on Pride Lake. There are five different campgrounds for tents or RVs, and you’ll find modern restrooms and showers available throughout the park. While you’re there, stop by the Dan Nagle Walnut Grove Pioneer Village. History buffs and children of all ages will enjoy this circa 1860s stage coach stop. Climb aboard a passenger train car and explore eighteen historic buildings. 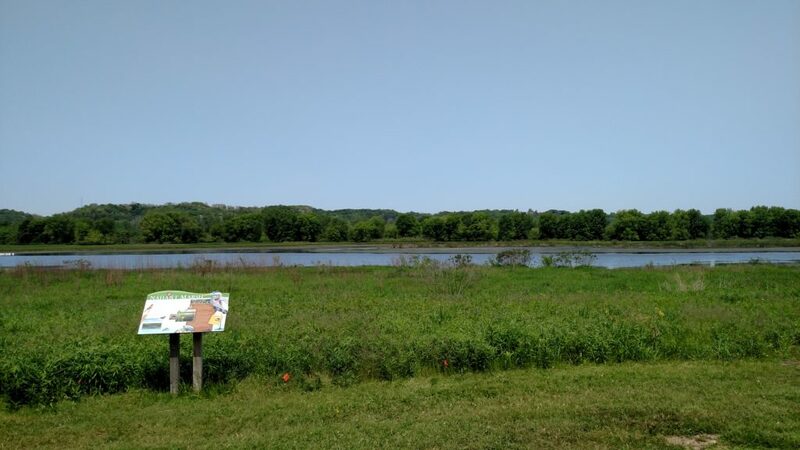 Just outside of Davenport you’ll find Nahant Marsh, a great place with a remarkable origin story. After more than thirty years of use as a sportsman’s club, the marsh contained high levels of lead causing severe negative effects on the plants and animals that lived there. Fortunately, the Iowa DNR, the U.S. 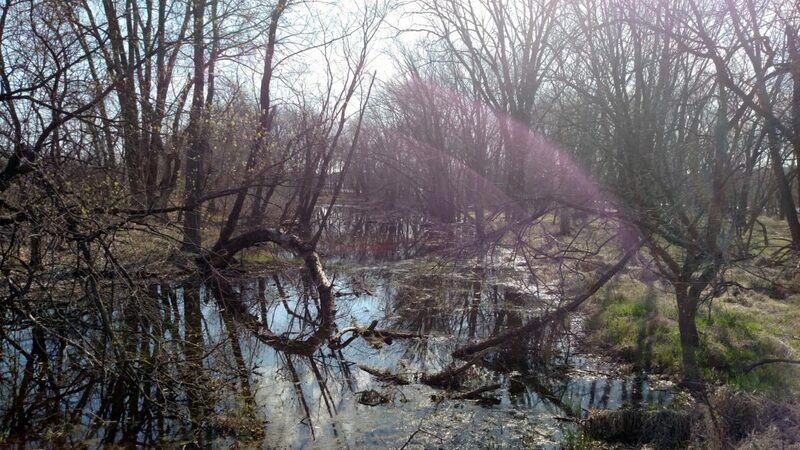 Fish and Wildlife Service, River Action, and the Quad City Audubon Society worked together to save the marsh. After the EPA declared the marsh a Superfund Site and engaged in an extensive cleanup project to remove the lead, the ecosystem became much healthier. The wetland became a nature preserve, dubbed Nahant Marsh and the former clubhouse was converted into an education center. There’s lots of animal life to observe here; waterfowl, turtles, and even river otters all make a home or visit here. Visiting the marsh is a great way to spend a morning or afternoon. They don’t have an extensive trail system, but there is a lot if diversity in the plants and animals there. You’ll see a number of different waterfowl from the bird blind, and if you’re lucky you just might catch a glimpse of the otters on the dock. 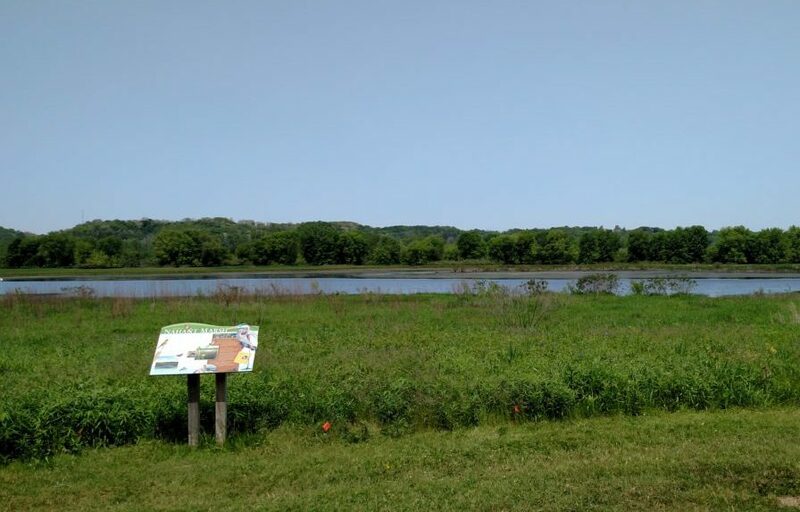 The education center can introduce you and your family to different animals you might find in the marsh, and if you’re interested, Nahant offers naturalist-guided nature hikes around the marsh, the first Saturday of the month. You might not think of a marsh as a beautiful place, but you might change your mind after a visit to Nahant. If you’re interested in mountain biking, consider a visit to Sunderbruch Park, a great place for some off-road riding in Davenport. There is something for all experience levels, from beginner to expert, and a variety of obstacles and challenges to overcome. The paved path through the center is multi-use, so keep your eyes peeled for other cyclists, pedestrians, and riders on horseback. You can also find equestrian trails in Sunderbruch, if you’d rather be on horseback than on a bike, and a paved multi-use pathway through the park if you’re not ready to go off-road yet. This 1.3 mile paved pathway will be shared by cyclists, equestrians, and pedestrians, so be mindful of your surroundings and others on the path. It’s as if you’re part of a post-impressionist painting. There’s a disc golf course if you’re so inclined, a hiking trail on the southern end of the island, as well as a public boat ramp. During the spring, summer, and early fall, you can rent kayaks, canoes, and bikes on the island, and during the winter months, it’s a great spot for spotting bald eagles. A unique Iowa gem, Maquoketa Caves State Park is a wonderful place to visit for hikers and campers alike. 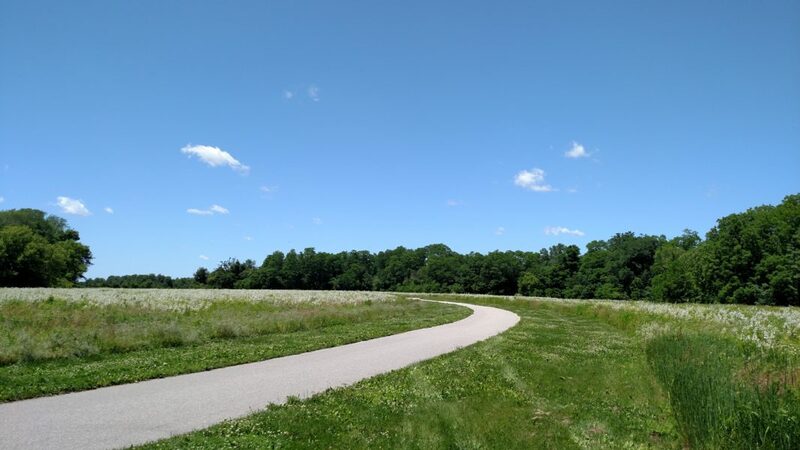 The trail system is beautiful and will take you along rock formations, an experimental oak savanna restoration, as well as a restored prairie. 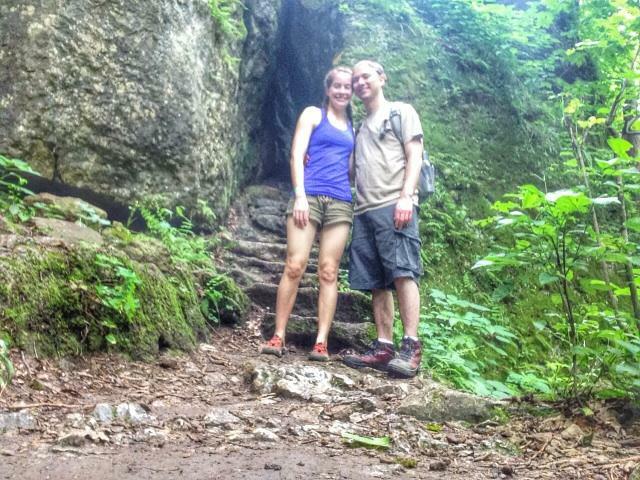 A pre-beard Wade and wife on the trails at Maquoketa Caves State Park. 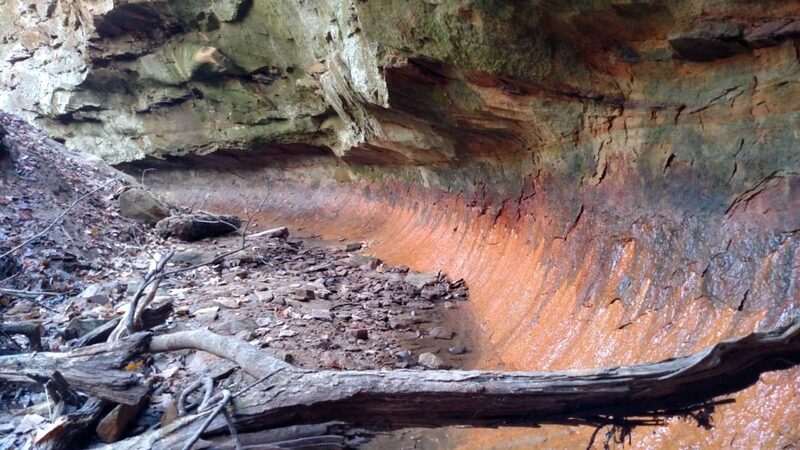 Of course, you’ll also hike right through the park’s best-known feature; the caves! Don’t worry if this is your first underground exploration, you won’t need any experience to get through Dancehall Cave. It’s well lit and is large enough to hike most of the way standing straight up. 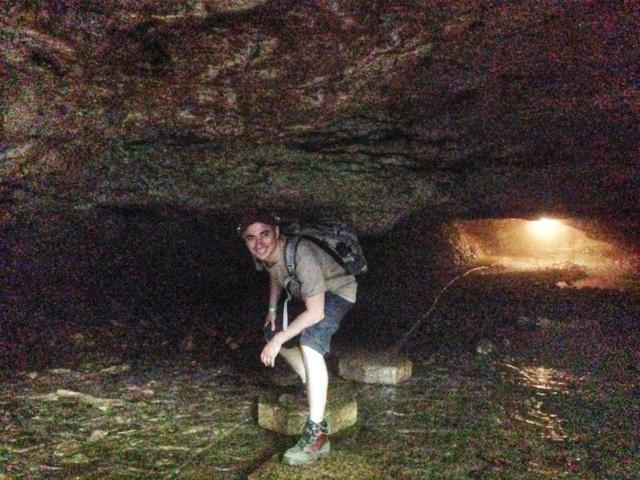 It’s a great way to see the inside of a cave, even if you’re not ready or able to get on your hands and knees. You may need to stoop just a little. The park’s other caves vary in size; some you can walk through, but others are narrow enough that you’ll have crawl! If you plan on doing that, make sure that you bring clothes and shoes you won’t mind getting muddy, and don’t forget to bring a flashlight or two as well. A helmet wouldn’t hurt if you’re worried about hitting your head. Before you can explore the caves you’ll need to attend a brief program about White Nose Syndrome. This is a deadly disease affecting bats and while it has no direct effect on humans, we can spread it. Interpreters will be available at the caves to educate visitors on White Nose Syndrome and how we can prevent spreading it. Interested in tall stone faced walls and interesting rock formations? Wildcat Den State Park, near Muscatine Iowa, will be a great place to visit then. 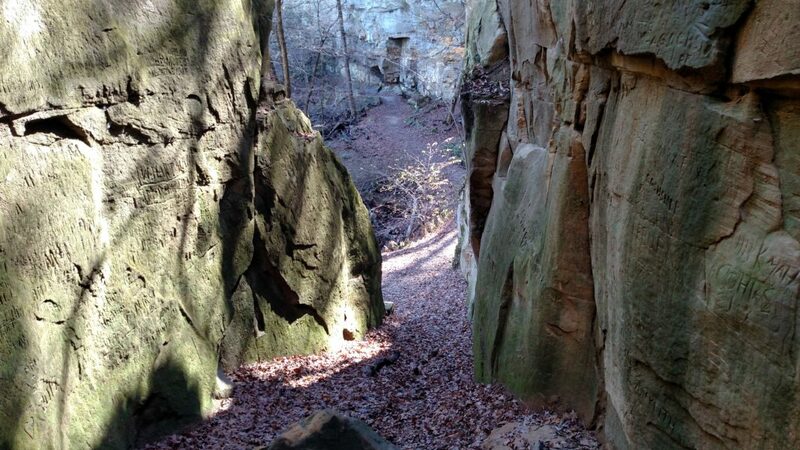 The trail system will lead through rock outcroppings, bluffs, and interesting geological features like the Devil’s Punch Bowl. The Devil’s Punch Bowl at Wildcat Den. You’ll also have the opportunity to see the Pine Creek Grist Mill on the eastern side of the park. Built in 1848, the mill is under the care of the Iowa Department of Natural Resources and the Friends of Pine Creek Grist Mill, who are working to restore the mill to its former glory. 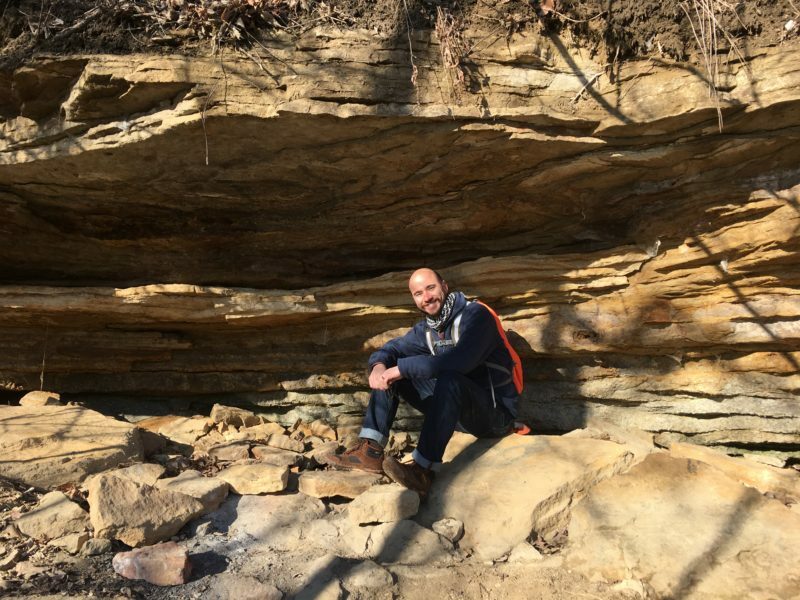 With these features, Wildcat Den is a great place for a day of hiking, or you can camp at one of their twenty-eight sites and spread your exploration over a few days. Oak Point, which is wheelchair accessible. 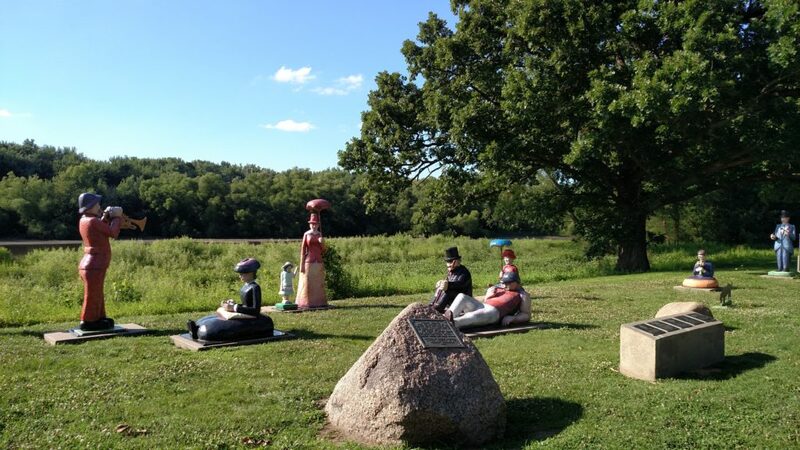 These overlooks all sit along the same road so the view is always of the Mississippi River. Don’t let that stop you from exploring them all though. They’re each different enough to warrant a stop, and you won’t get bored. 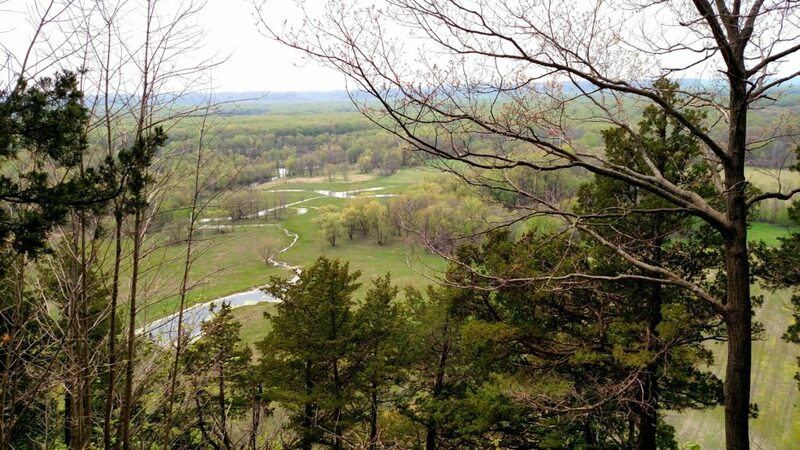 If you’d rather hike to your scenic overlooks, you can do that here too. Try hiking High Point Trail from the Northern entrance. At the end, you’ll find yourself at a shelter overlooking the surrounding land from a bird’s eye view. It’s a great place to relax, catch your breath, and have a snack, all while taking in the beauty around you. 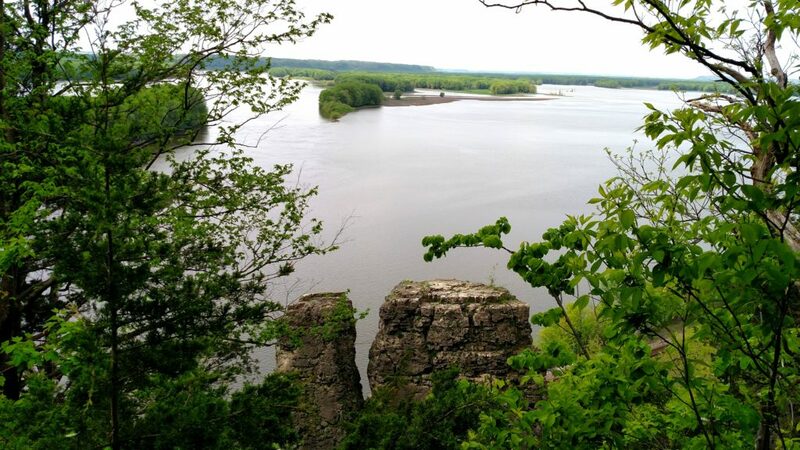 You can also take Sentinel Trail from the South park entrance, which will lead up to another amazing view of the Mississippi, this one featuring the “Twin Sisters,” a pair of vertical stone towers often frequented by climbers. The hills are steep to get to this one, so take your time and exercise caution on the hike. 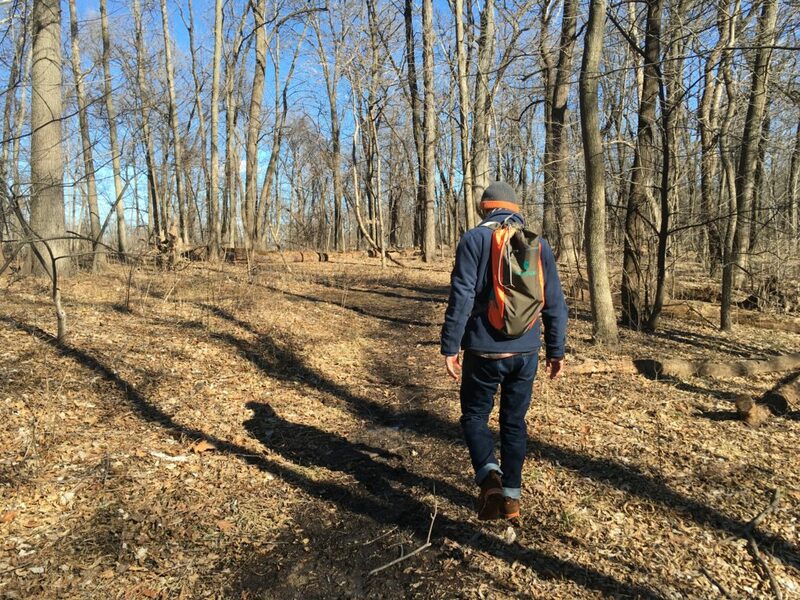 Are you ready to get outside and explore? I hope this post has given you some ideas of places you’d like to visit in my neck of the woods. 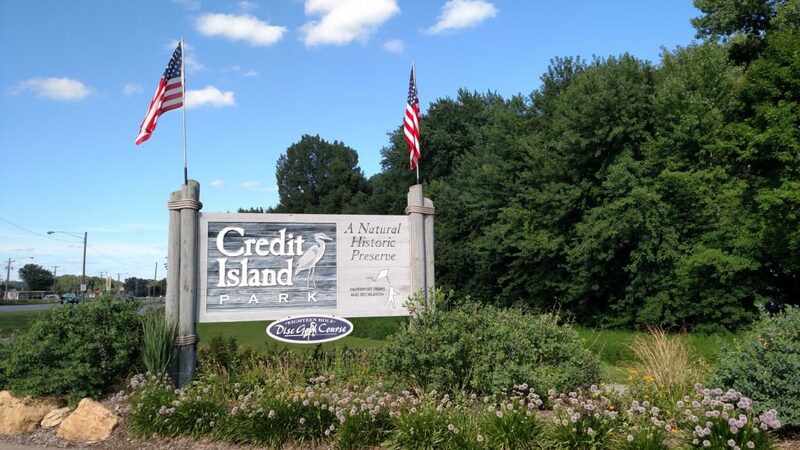 Of course, these aren’t the only outdoor attractions that you’ll find in and around the Quad Cities, but this will get you started exploring the area. Looking for more? 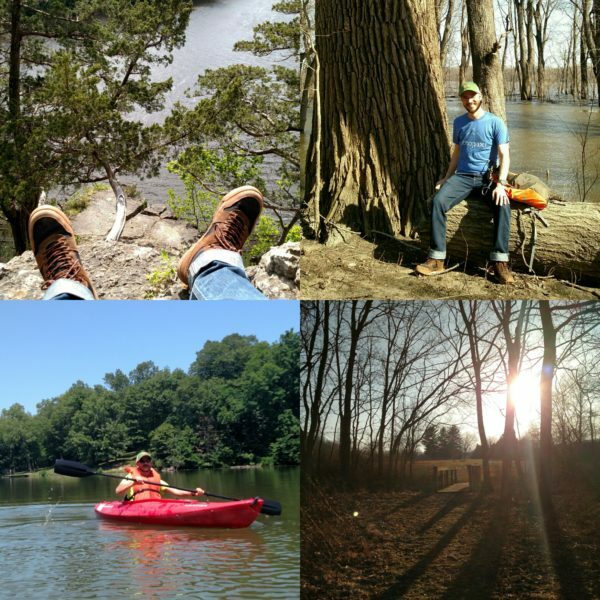 My friends at Let’s Move Quad Cities have crowd-sourced this great interactive map of awesome outdoor places in the area, so take a look and see if you can find a spot that’s right for you. If you feel like you still need a little help or advice head over to my Contact Page and feel free to ask me any questions you might have. If I don’t have an answer to your question, I’ll try to find someone who does! Thanks for stopping by Intrepid Daily, and thanks for exploring the Quad Cities area. Whether you’re new here, just visiting, or lived here all your life, I’m glad you’re considering spending time having an adventure in some of the great outdoor attractions we have to offer. Don’t feel intimidated if you’re new to hiking or camping, just get out there and have fun!